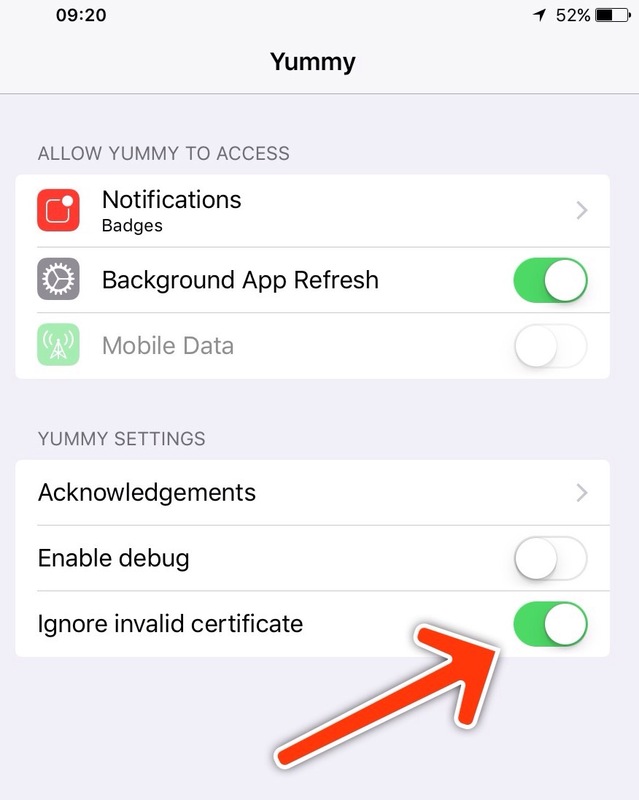 If you’re seeing a certificate error when syncing Yummy with Delicious this blog post is for you. Unfortunately it’s a problem on the Delicious side so there’s nothing that we can do to fix the fundamental problem — which is that their SSL certificate is either invalid or has expired. However, what you can do is tell Yummy that you want to ignore the error. This is generally not something I’d recommend, but it’s happened often enough that there’s an option to do exactly that. You need to open the Settings.app, scroll down to Yummy and enable the “Ignore invalid certificate” option. I’d recommend you switch it back off when it’s fixed.